Ready to speed up your modeling? Today, we released a new version of the COMSOL Multiphysics® software and COMSOL Server™, version 5.3, and we think you’ll love the performance improvements. Performance improvements are the name of the game with COMSOL® software version 5.3 — and they are significant. It is especially noticeable in the case of larger models, which are now much faster to work with and load — speedups reach up to a factor of ten. If you already use the Application Builder, you’re familiar with functionality that allows you to record methods, edit, and then run them. This method functionality is now also available in the Model Builder, so you can perform complex modeling tasks with ease. For example, you can build a method to use data from a text file to set up a geometry. Updating a model with a model method. 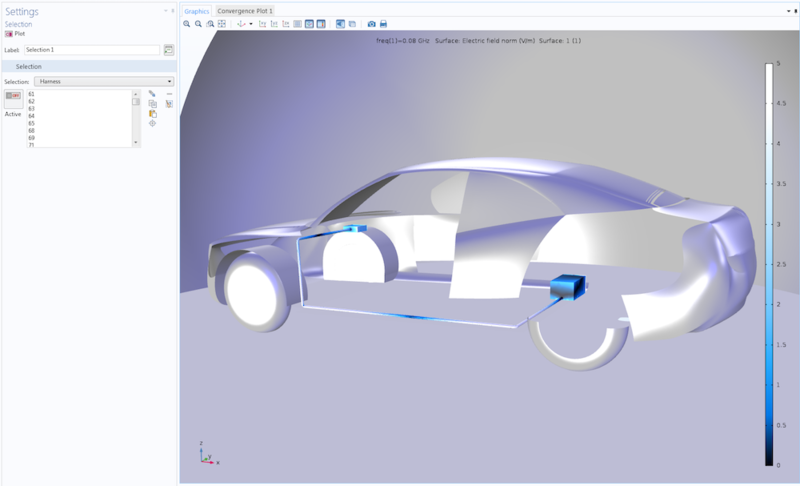 When building apps, you now have the ability to create more interactive simulation tools with data picking support in the improved Graphics form object of the Application Builder. Administrators of the COMSOL Server™ product, the app deployment and management platform, can take advantage of user log files and centralized cluster settings. Another exciting improvement involves building geometries and defining physics operations more easily by specifying local coordinates. It’s also possible to automatically combine swept and tetrahedral meshes via a transition layer of pyramid elements in COMSOL Multiphysics version 5.3. In this example, pyramid elements (cyan) are automatically generated around a swept mesh’s hexahedrons (green); the rest of the space is filled with tetrahedrons (gray). In other general news, viewing results with multiple parameters is now simpler with quick filters built on sections. We’re also happy to introduce dual y-axes in 1D plots to enable you to plot different quantities of different scales in two y-axes in one graph. In this example, radiation emitted from an antenna induces an electric current on the outer surface of the cable harness in a car. We are using selections to quickly specify a plot for the electric field norm on this component. In version 5.3 of COMSOL Multiphysics, we are shipping many new and updated tutorial models and some new important demo apps. You will find Application Library paths and Application Gallery links in the respective Release Highlights pages. 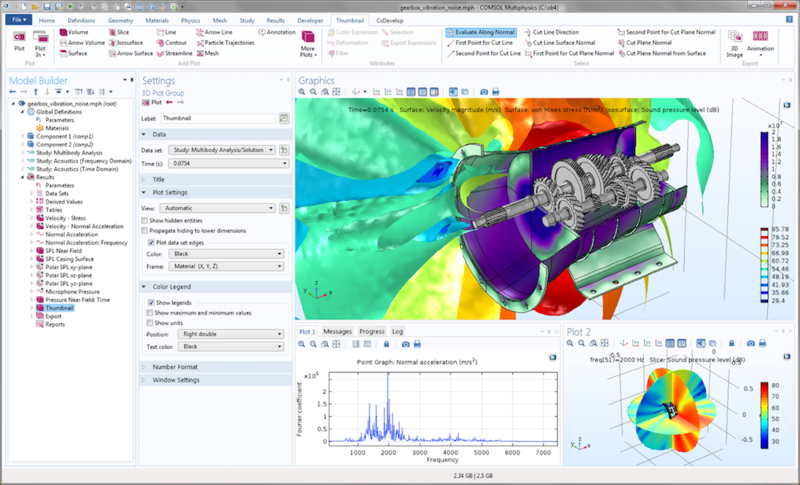 Some big updates are released in version 5.3 of the CFD Module. For one, the new v2-f turbulence model allows you to simulate flows that have strong turbulence anisotropy — with high accuracy. This is useful when modeling flows over curved surfaces, for instance. 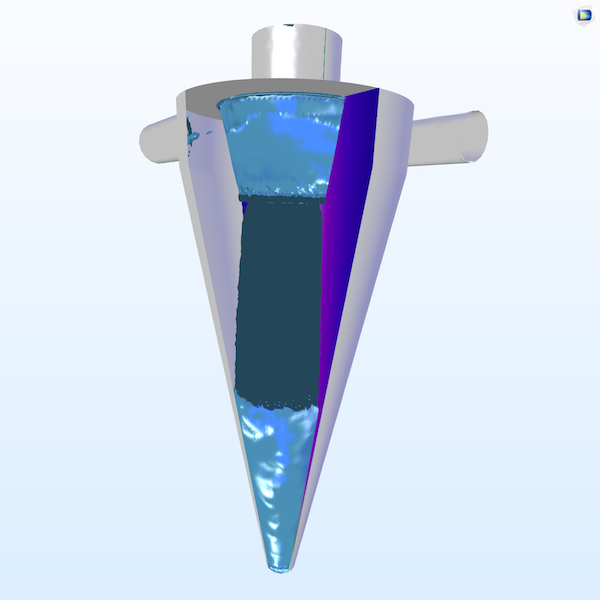 Thanks to a new AMG solver for CFD, large fluid flow simulations are now easier to run than ever. Be sure to check out the rest of the updates in the Release Highlights. An example where the new v2-f turbulence model is useful: Flow occurs over curved surfaces in a cyclone separator. 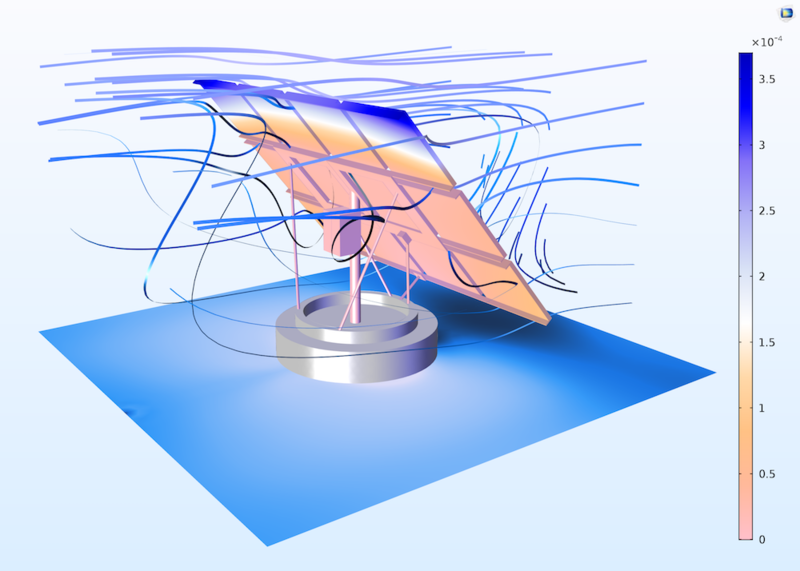 Applying the new AMG solver to CFD simulations of a solar panel. Among other news in structural mechanics, stress linearization evaluation is now available. This postprocessing technique is particularly useful when modeling pressure vessels. A variety of safety factor variables for linear elastic analyses are also now available. These allow you to quickly see when to elevate your model to include elastoplastic analyses. 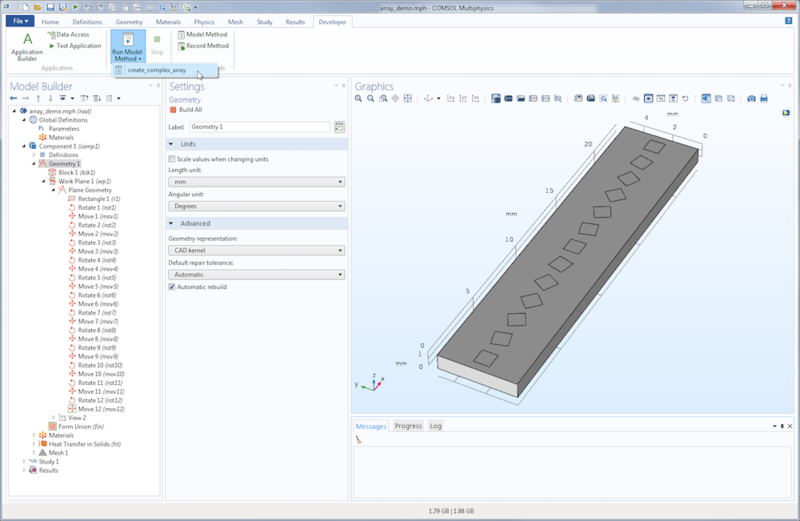 Another convenient tool is that constraints for self-equilibrating loads can now be automatically added to a model. 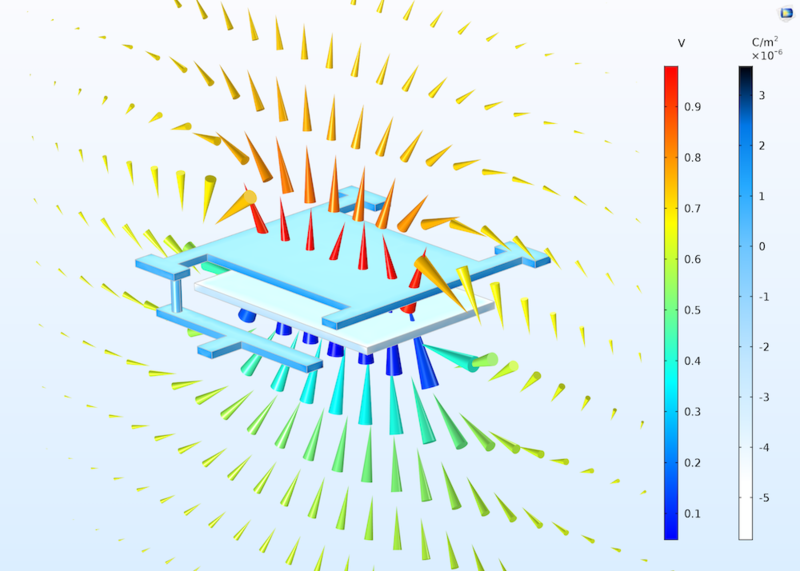 The latest COMSOL® software version also features acoustically perfectly matched layer (PML) functionality in the time domain and an interface for analyzing transient thermoviscous acoustics. An evaluation performed with the stress linearization technique. 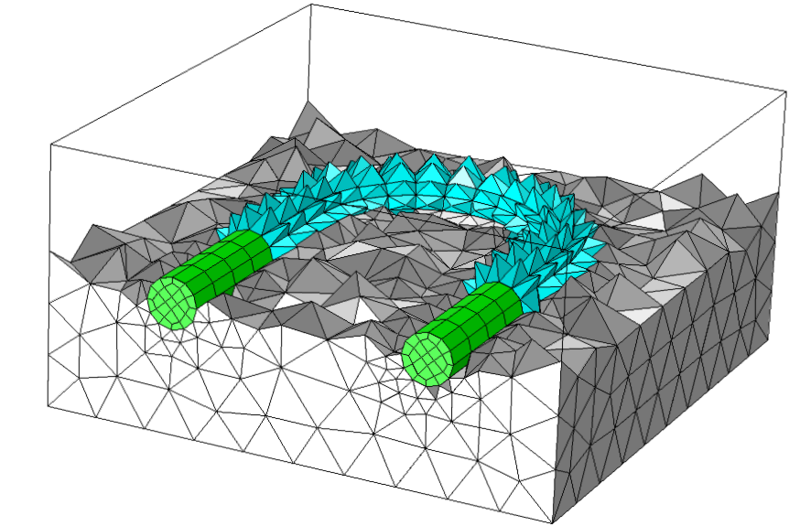 The new Vibrations and Noise in a Gearbox tutorial model, available in the Acoustics Module. For our electromagnetics crowd, the new Electrostatics, Boundary Elements interface simplifies the process of computing potential distribution in dielectrics. There’s also an added study type that lets users quickly perform lumped matrix calculations. Additional upgrades include a new RF Part Library, a Ray Termination feature for ray optics, and an interface for solving the Schrödinger equation for quantum mechanics. A capacitor modeled with boundary elements. 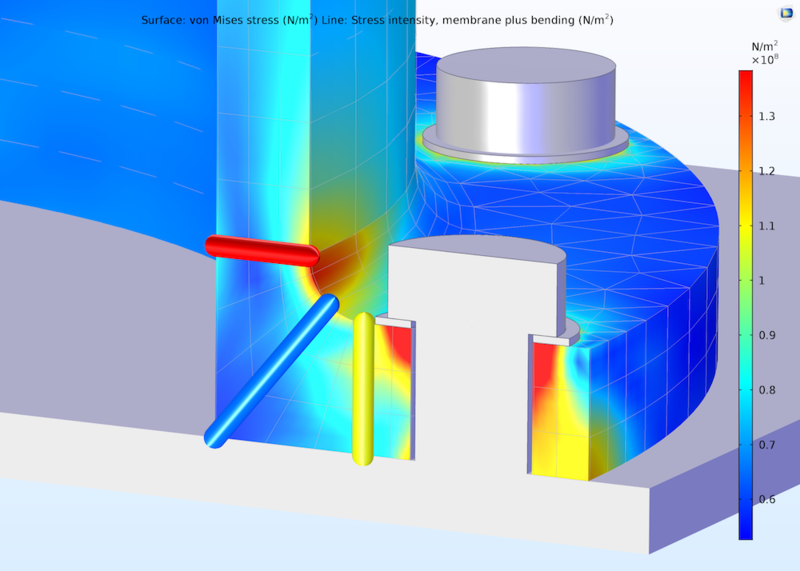 In heat transfer news: There’s now extended functionality for designing models that account for heat and moisture transport in air. 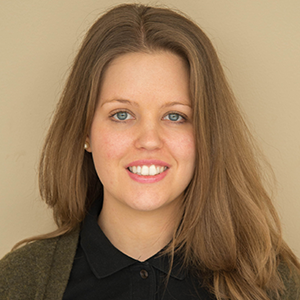 Our chemical engineering crowd, meanwhile, will find a series of new interfaces available for modeling reacting flow in porous media, as well as flow and transport in fractures. And for those of you modeling particle tracing, a new Periodic Condition enables such analyses in geometries with sector symmetries and in periodic structures. This was just a brief overview of the new features and functionality available in COMSOL Multiphysics version 5.3. Over the next few months, we will continue to blog about these and other release topics in greater detail, so stay tuned! In the meantime, head over to the Release Highlights page, where you’ll get a comprehensive overview of the release news — including a video.